Phew! A Disney World vacation can really wear you down. After all of the walking, early mornings, late evenings, and dodging crowds during your trip you would think that is enough of a workout. How about taking it a step further? Put your theme park itinerary aside for a few hours and spend some time at one of the many Disney World fitness centers across property. Disney has gone to great lengths to design, build, and equip great fitness centers at its various deluxe resort hotels. Continue through the page break and let’s look at some of the best fitness centers across Disney World property. There are many reasons why you should visit one of Disney’s well appointed fitness centers during your vacation. For some guests it maybe a routine they’ve brought with them from home. They may want to continue their workout regiment despite their visit to Disney World. For other guests their motivation may be related to the number of calories consumed during their vacation. 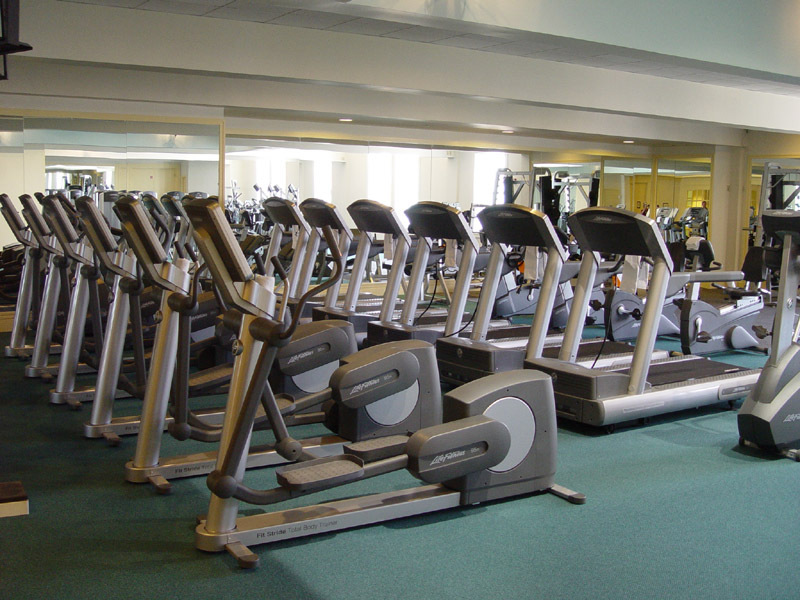 The fitness centers are a great way to even out your caloric intake during a week-long Disney vacation. Who knows, you may find yourself at Chef Mickey’s or Beaches & Cream having a weak moment. Who could resist a chocolate and peanut butter ice cream delight called the ‘No Way Jose.’ It’s loaded with calories, and in order to reduce the amount of guilt you will feel after consuming one a trip to the fitness center may be just what the doctor ordered. Over the past 2 years I’ve visited many of the Disney World fitness centers. They are among some of the best fitness centers I’ve ever seen at any resort hotel. I’ve seen workout rooms at some of the chain resort hotels like Holiday Inn and Sheraton. Disney’s workout facilities are much larger and well appointed. Disney has invested a large amount of capital in their workout facilities and continued maintenance and upkeep. Currently, all of the deluxe resorts have a fitness center except for the Polynesian. Guests at the Polynesian are welcome to use the fitness center at the Grand Floridian Resort & Spa. The Coronado Springs resort is the only moderate resort at Disney World with a fitness center. Each fitness center is unique and provides a different setting, equipment, and experience. 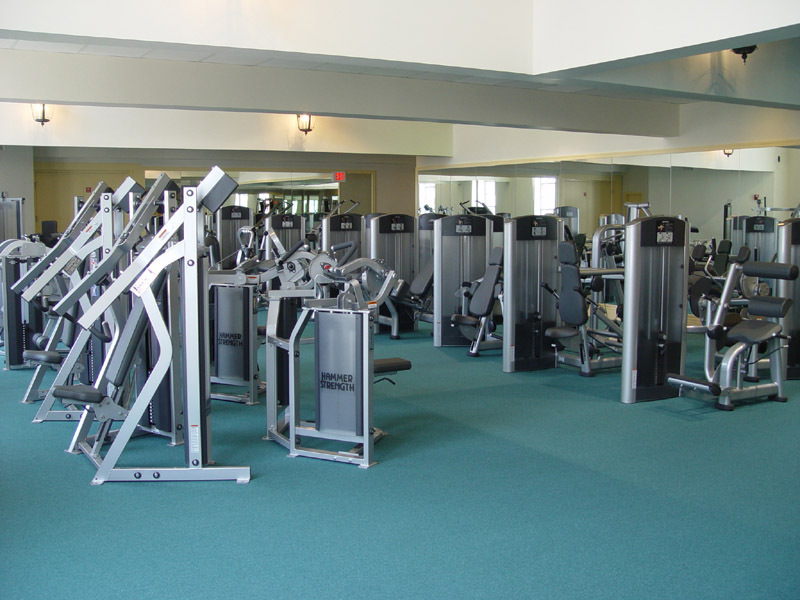 Let’s take a look at what I consider to be the top 5 fitness centers on Disney World property. Located at Disney’s flagship resort, this fitness center is in a separate building from the main lobby. It’s housed in the same building as the resort’s full service spa. It is a bit dated and somewhat smaller than other fitness centers, but cast members who run this facility are very friendly and ready to make sure your experience is the best it can be. (This facility is currently closed due to the Grand Floridian DVC construction. A new facility is set to open soon). Located at Disney’s Wilderness Lodge, this health club provides an excellent setting. Its peaceful and tranquil environment allows you to focus on your workout without external distractions. The health club can be found inside the Wilderness Lodge Villas lobby. Located at Disney’s Yacht & Beach Club resort this fitness center not only provides great equipment, but it also has great customer service and friendly cast members working inside. Oh…and it doesn’t hurt that the Beaches & Cream Soda Shop is only steps away. How else can you work off that Kitchen Sink sundae? This is the newest edition of Disney’s health and fitness centers. It’s located next to the pool complex at Disney’s Animal Kingdom Villas – Kidani Village. This fitness center is surrounded by floor to ceiling windows that provide a great view of the pool complex, walkways, and African style grasslands. 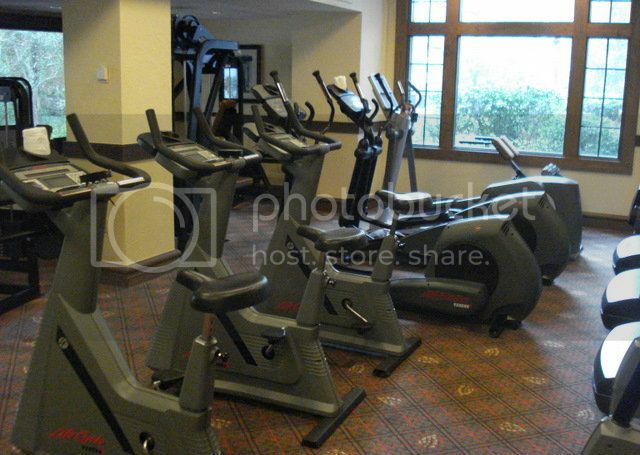 Located at Disney’s Saratoga Springs Resort & Spa this fitness center rivals most neighborhood health clubs. It’s very large and has a wide variety of equipment to choose from. You won’t feel crowded or have to worry about waiting for equipment. There’s plenty for everyone. It’s the most elaborate resort fitness center I’ve ever visited. I’ve found the ‘Survival of the Fittest’ and “The Health Club at The Spa” to be a very close first and second place. I gave the “The Health Club at The Spa” the number 1 spot because of its sheer size and space. Both are excellent facilities. A couple notes about Disney’s fitness centers. They are operated by Niki Bryan, Inc., the same company that runs the spas and salons across property. Guests must be at least 14 years or older to use the fitness centers. Children ages 14 to 17 must be accompanied by an adult. Be sure to visit your resort’s concierge desk for the times the fitness center attendants will be onsite. Otherwise, they are open 24 hours a day using your Key to the World card to gain access after-hours. 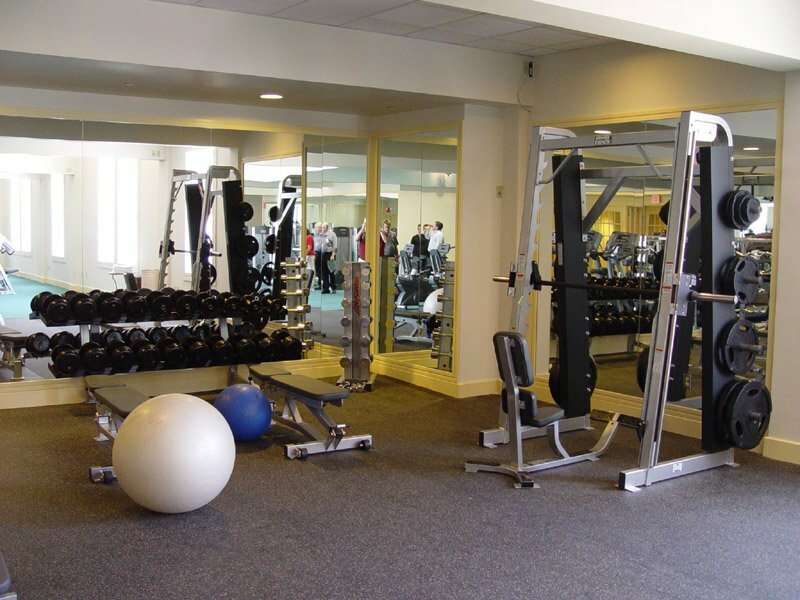 Use of your resort’s fitness facility is free provided you are a resort guest. Taking a few hours out of your Walt Disney World vacation to hit one of the many health and fitness centers is a great way to unwind and get away from the hustle and bustle of the theme parks. If you are feeling guilty about all of the theme park food you’ve consumed be sure to hit one of the very well appointed health clubs. Who knows, you may find you feel better and have more energy to hit the theme parks after your workout.